Pre-order NARUTO TO BORUTO: SHINOBI STRIKER and get access to exclusive rewards including: Naruto 7th Hokage Costume, early access to Pain, and Shinobi Striker Coats. Purchase NARUTO TO BORUTO: SHINOBI STRIKER Deluxe Edition and get the most complete experience from NARUTO TO BORUTO: SHINOBI STRIKER! 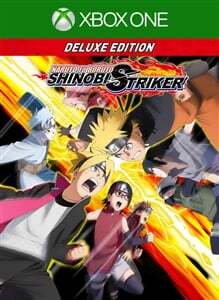 This edition includes the full NARUTO TO BORUTO: SHINOBI STRIKER game and all additional content eligible to the Season Pass. Pre-order NARUTO TO BORUTO: SHINOBI STRIKER and get access to exclusive rewards including: Naruto 7th Hokage Costume, early access to Pain, and Shinobi Striker Coats. Battle as a team of 4 to compete against other teams online! 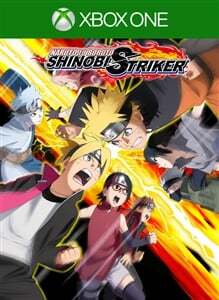 Graphically, SHINOBI STRIKER is also built from the ground up in a completely new graphic style. Lead your team and fight online to see who the best ninjas are!